Ideal for slab construction, building renovation and all types of maintenance work, these battery powered units feature built-in pothole protection and slope level sensor interlocks as standard safety equipment. Center pivot steering permits an extremely tight turning radius. Other standard features, offered only as options on competitive models, set them apart as the industry leaders. 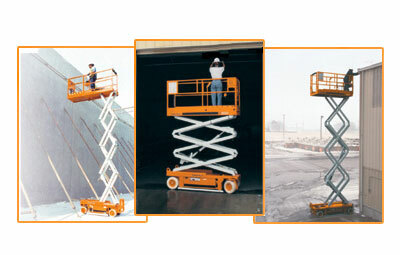 These narrow scissor lifts are available in working heights from 25' to 31' (6.4m to 9.4m) with platform capacities from 600 to 850 lbs (272kg to 386 kg).